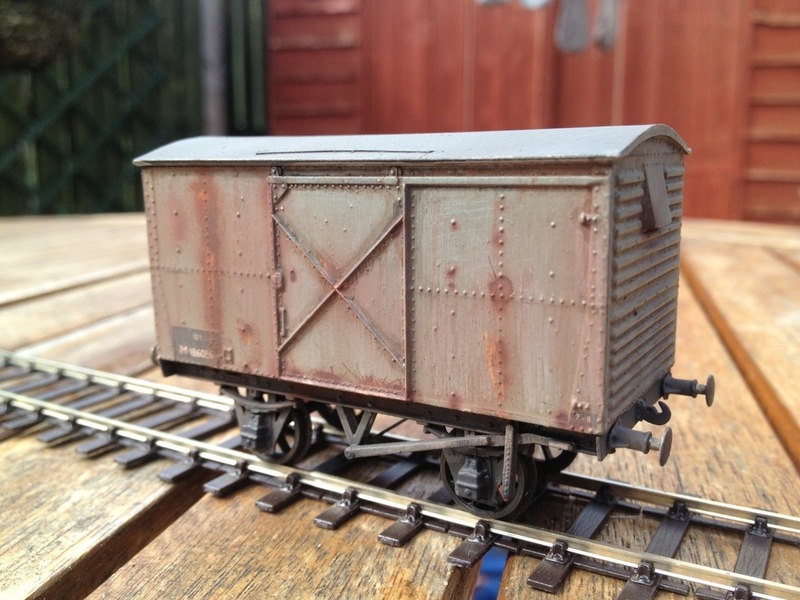 I finished the 12 ton steel van today, trying out some new effects with the airbrush and also with some powders. As I said when I started this project, these vehicles weathered in a way not dissimilar to a ship in my eye. How effective my attempt at recreating this is, I’ll leave for others to judge, but I’m fairly pleased how it has worked out. I only bought the kit twelve days ago at Scaleforum North so I think that’s the quickest I’ve turned a kit round in about twenty-five years! 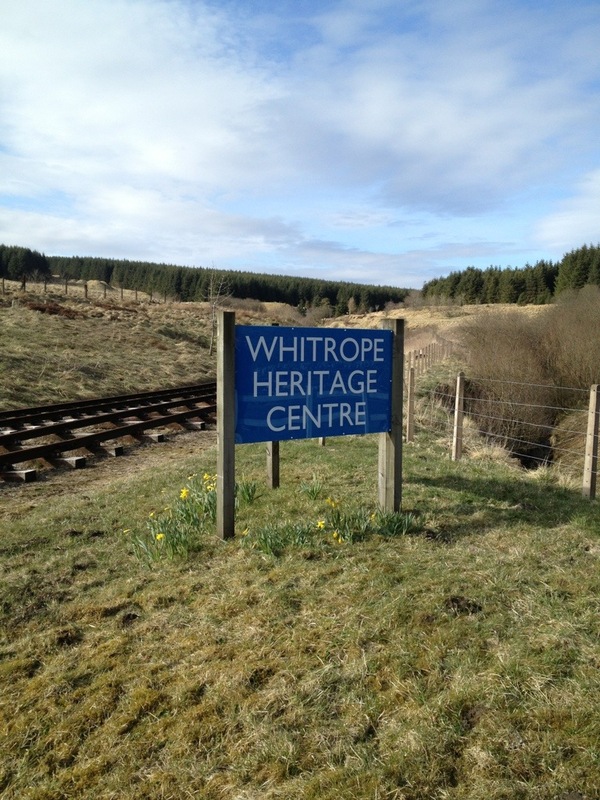 Having done this, I turned my attention to my full size train set at Whitrope, where my friend Tony Graham and I erected new signs at the crossing to replace the old signs which after twelve years’ service were urgently in need of replacement. Our new signs, generously provided by fellow member Matt Stoddon, are finished in the classic BR Scottish Region blue style and really do look the part at their new home. The next few years promise some rather exciting developments here! That’s a very quick turn-around for a kit! Looks great too, excellent stuff! Thanks Dave. I’ve always found these vans interesting on account of their unique (for the UK) construction. I think the last kit I built this quickly was a Cambrian OBA back in 1989! 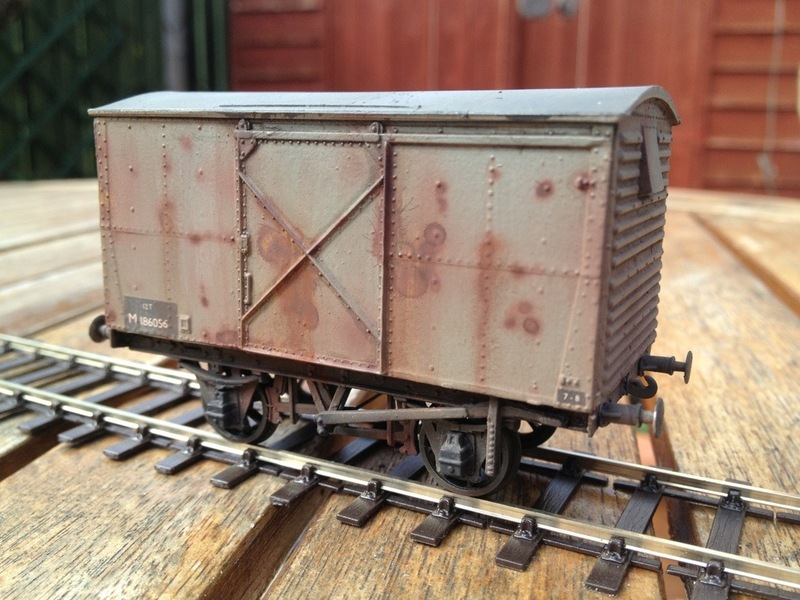 Great work Dave, love the wee vans and the rusting looks fab. The signs too are great, hope it has the same effect on the passing public as it did on us!